CONTENT WARNING: Aliens, cargo ships, and a fast paced race against all odds. As a Science Fiction or 'space opera' writer and reader, I was looking forward to reading this novella and I was not disappointed. The action is fast and furious, and the characters are engaging and likeable. Imagine having to disguise yourself as an alien race and be in fear of your life every day. This is the way the two main characters, Lucy and 'her man' Brody have to live. The powerful race of aliens known as the Ko would kill them if they suspected they were actually human. Lucille, like Brady, longs to find Earth and manages to purchase an illicit ancient human story book, featuring humans celebrating Christmas with a Christmas tree. When Brody tells her he has been has arranged for a meeting with someone who knows the location of a secret human colony, she can hardly believe it. However, they are to face many perils and unexpected events before the end of the story, and find friends in unexpected places. The love between Lucille and Brody is evident, and I liked the way he cared for her, and looked out for her, even though she is, herself, a very strong and capable character. The way these two love each other and the sacrifices they are willing to make, each for the other, is very touching. There are some fairly steamy scenes, but nothing too explicit and they are in keeping with Brody and Lucille's relationship. I was rooting for them to succeed in their quest to find the Earth colony and look forward to being able to read Book 2.
restraints of reality and shares them with anyone wanting to read her stories. Mother, daughter, and wife are some of the other hats she wears while hiking through the hills and dales of her adopted state of Vermont. 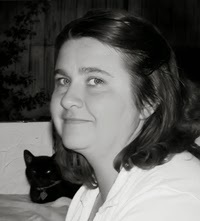 Annie writes for Samhain Publishing, Carina Press, and Lyrical Press.